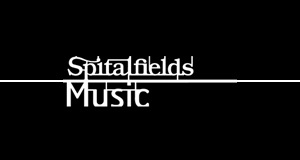 Spitalfields Music are offering an exciting opportunity to musicians interested in developing their skills within creative learning settings, and would like to recruit three trainee music leaders to equip them in leading effective and successful workshops. Applicants will need to demonstrate that they are passionate musical communicators, excited by a range of musical genres and the opportunity to work with people of all ages and abilities on projects produced by Spitalfields Music during the 2012/13 academic year. The closing date for applications is 14 September.